This is the final section of the article that I have been posting over the last six days. The material in this article that I have spread over the past six days is often troubling. 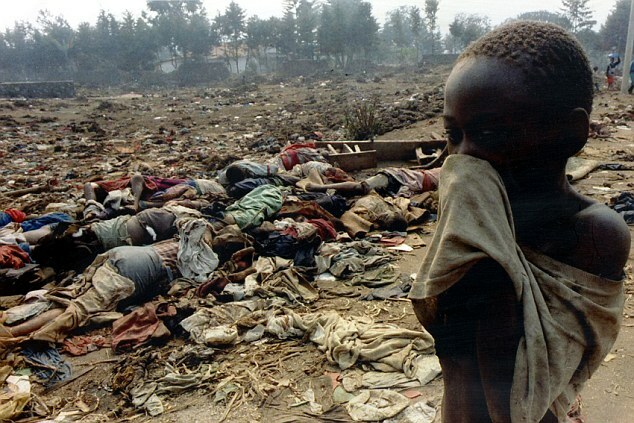 At least it is to me because while I earnestly want to believe that humanity is essentially good, I cannot get around the fact that people in every clime and place throughout history often choose to either participate in, or to ignore evil committed against when it is in their own self-interest. I can see into the darkness and I can understand it. Joyce Carol Oates wrote, “And this is the forbidden truth, the unspeakable taboo – that evil is not always repellent but frequently attractive; that it has the power to make of us not simply victims, as nature and accident do, but active accomplices.” That is one of the things that makes the Holocaust, but even more so, the actions of those murdered millions of people up close and personal as members of the Einsatzgruppen, the Police battalions, the Romanian Army, or the locally recruited Eastern European militias. While this of itself is troubling, the fact that many high ranking military and civilian officials in Germany, and some of their allied countries knew about it, and even if they disapproved did nothing to try to stop it. 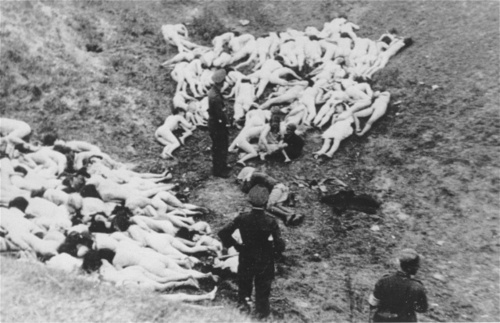 But even more damning is the fact that many other nations, including the United States knew what was happening and before the war would not accept Jewish immigrants who were being forced to leave Germany and Austria, and then during the war did little or nothing to attempt to stop the mass killings in the extermination camps. The fact is that people are people and most of the actors in this ghastly drama were much like us. That is what makes the period so troubling. The German war against Poland and the Soviet Union was heavily dependent on the racist ideology of Adolf Hitler. He was the true spirit behind the atrocities committed by his nation as one Nazi leader noted in Russia, “Here too the Führer is the moving spirit of a radical solution in both word and deed.” 187Hitler saw the war in the East as “the chance to stamp out everything that stands against us.” 188Belief in Germany’s right to Lebensraum, was predicated on increasing the standard of living for Germans even if it meant destroying others to do it. The need for food security was one of Hitler’s biggest concerns, and he believed that need would be provided by the conquest of the Soviet Union and the exploitation of the breadbasket of the Ukraine. 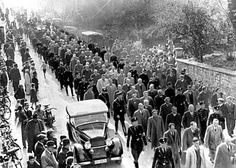 Hitler’s quest for unlimited natural resources to sustain his Thousand Year Reich and his belief in the racial superiority of the German Volk were combined with his belief in the necessity to settle the Jewish problem. These ideological and economic beliefs provided a fertile ground for Hitler’s followers. But it was German military doctrine, especially its anti-partisan doctrine and plans for total warfare which allowed Hitler to realize so many of his goals. Without the Army’s support and compliance Hitler could never have succeeded. 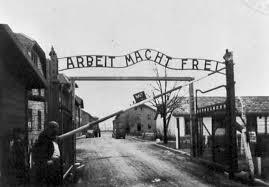 The post-war and early Cold War myth that the German military had no knowledge of and were not involved in the Holocaust committed against the Jews and others has been shattered as more and more records, correspondence, and testimony emerge. 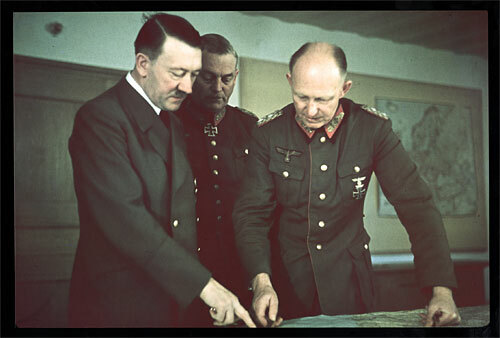 It is now quite clear that many officers in the Wehrmacht were in agreement with Hitler’s ideology of racial war, including men who have been idolized by military historians and history buffs who marvel at their planning skills and operational precision, but ignore the uncomfortable truth that many either participated in or meekly acquiesced to Hitler’s agenda. 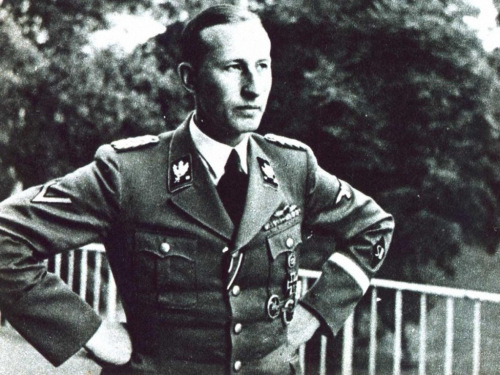 Jodl’s superior Keitel stated his helplessness before Hitler saying to Gilbert “What could I do? There were only 3 possibilities: (a) refusal to follow orders, which naturally meant death; (b) resign my post, or (c) commit suicide. I was on the point of resigning my post 3 times, but Hitler made it clear that he considered my resignation in time of war the same as desertion. What could I do?” 194 This was obviously an after the fact excuse by Keitel who had been present in Hitler’s headquarters since the beginning and had witnessed the explosive General Heinz Guderian explode in rage against Hitler in 1945. Following that violent outburst in which Guderian and Hitler engaged in a lengthy heated argument in which those present thought would come to blows and the enraged dictator and general shouted at each other and were held back from contact by others in the conference room. 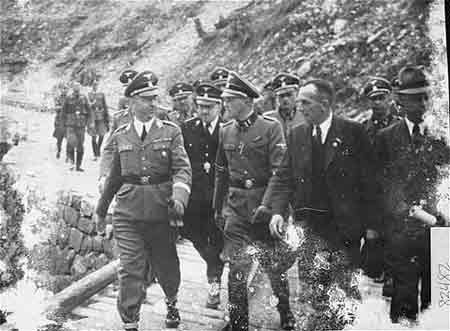 Instead of arrest or imprisonment Hitler ordered Guderian to take extended sick leave and never accosted him afterwards. 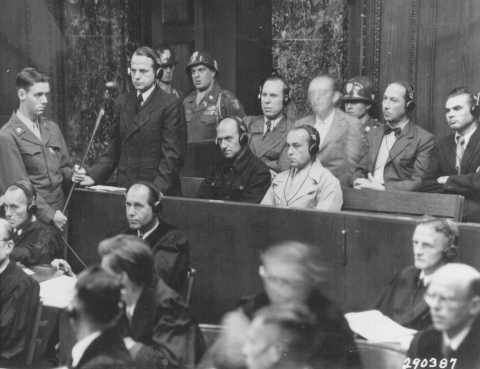 Of the men mentioned in this article who survived the war, only four, Wilhelm Keitel, Alfred Jodl, Otto Ohlendorf and Adolf Eichmann paid for their crimes with their lives Keitel and Jodl were found guilty in the major War Crimes Trials at Nuremberg. 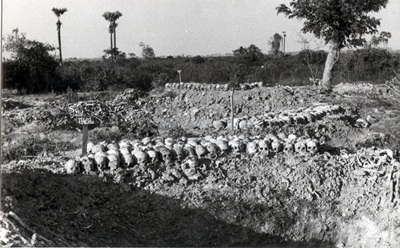 Ohlendorf at the Einsatzgruppen trial, while Eichmann was caught by the Israelis, tried, convicted and put to death in 1962. Blaskowitz committed suicide while being tried with thirteen other generals during the final Nuremberg trial, that of the generals. Of those eleven were convicted and none served out their full sentence. 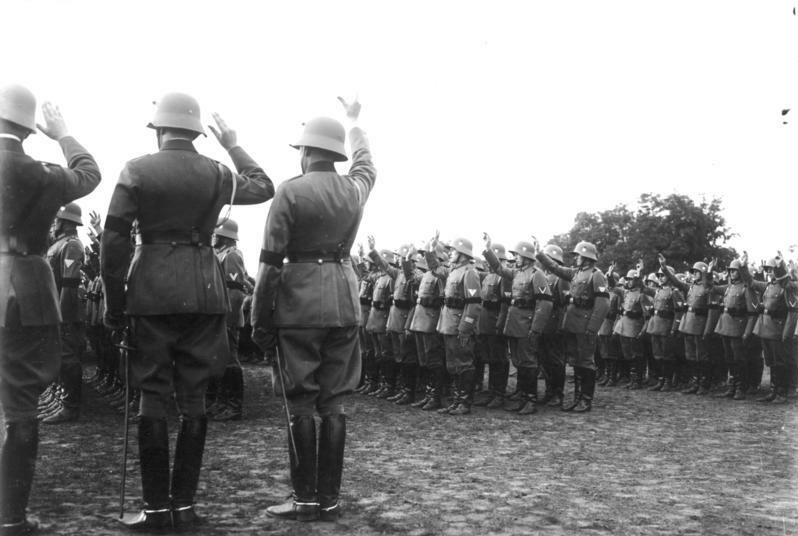 Hitler’s ideology permeated German military campaigns and administration of the areas conquered by his armies. 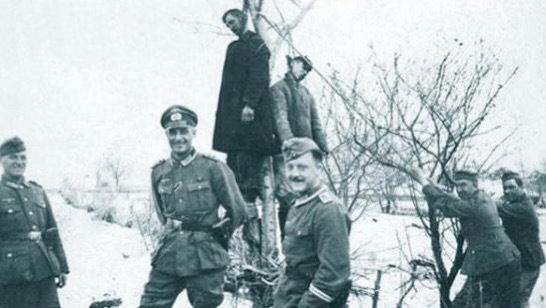 No branch of the German military, police or civil administration in occupied Poland or Russia was exempt guiltless in the crimes committed by the Nazi regime. 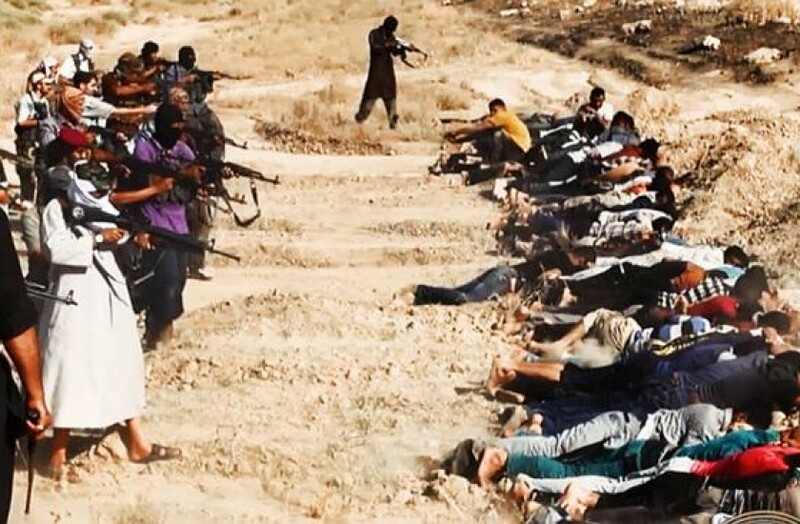 It is a chilling warning of the consequences awaiting any nation that allows it to become caught up in hate-filled political, racial or even religious ideologies which dehumanizes opponents and of the tragedy that awaits them and the world. In Germany the internal and external checks that govern the moral behavior of the nation and individuals failed. 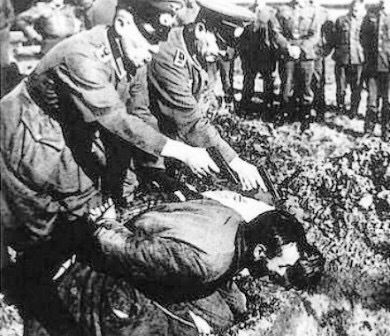 Caught up in the Nazi system, the Germans, especially the police and military abandoned the norms of international law, morality and decency, banally committing crimes which still reverberate today and which were seen in the ethnic cleansing actions in the former Yugoslavia, and now throughout much of the Middle East. In light of the fact that there is a growing food shortage in the world which will only get worse due to a factors including the global rise in population, the shrinking of the amount land which can be farmed due to climate change. 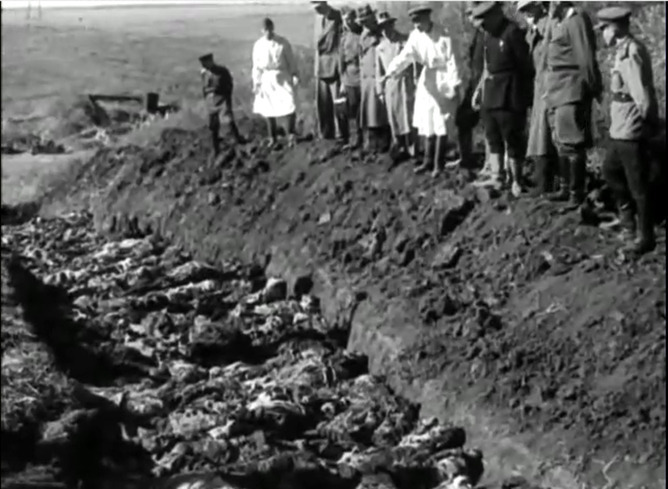 There are many other factors as well which could such a situation could bring about another Holocaust. In such a case leaders will decide that the lands and resources of less developed people are theirs for the taking in order to maintain the standards of living of their people, and that the indigenous people who they will victimize are less than human and thus have no rights. The terminology used by them will be very neutral and full of euphemisms which will allow many people to maintain the illusion that any evil carried out is for the good. Politicians, pundits and preachers will talk of problems, and of solutions, and in trying to find a resolution yearn for a conclusive solution, a final solution. That quote might be applied to many of the people who participated in this genocide. Sadly, the fact is that in truth we are not really all that much different than the victims, the perpetrators and the bystanders who lived and died in the Holocaust, and similarly every other act of genocide. 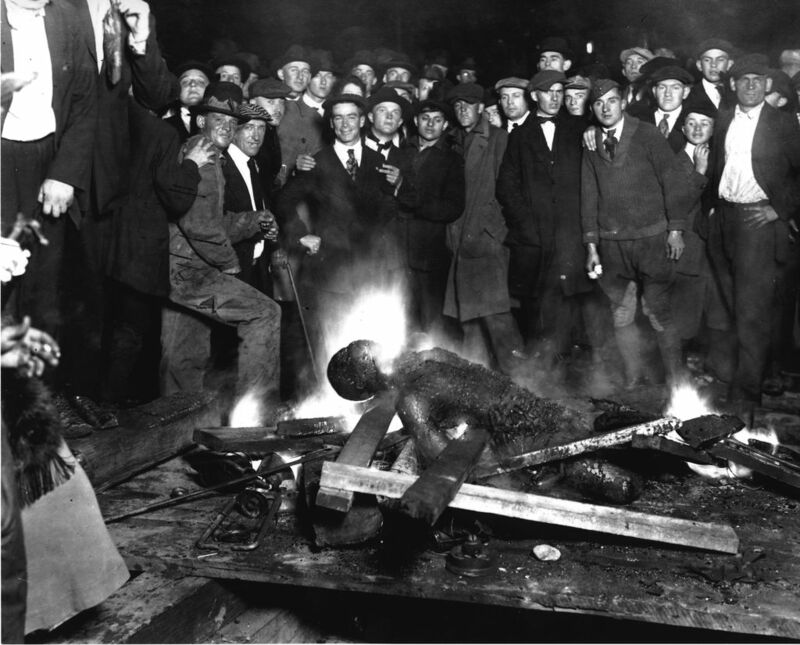 History serves as a guide and a warning. We must always be alert and we must always when the truly difficult times come, in the midst of crisis, not to take the easy path and denude ourselves into the commission of such crimes. Ferguson, Niall. The War of the Worlds: Twentieth Century Conflict and the Descent of the West. Goerlitz, Walter. 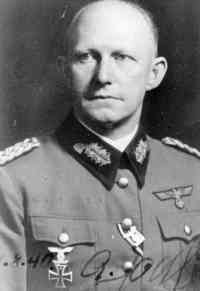 The Memiors of Field Marshal Wilhelm Keitel: Chief of the German High Command 1938-1945. Translated by David Irving. Cooper Square Press 2000, First English Edition 1966 William Kimber and Company Ltd. German edition published by Musterschmnidt- Verlad, Gottigen 1961. Rhodes, Richard. 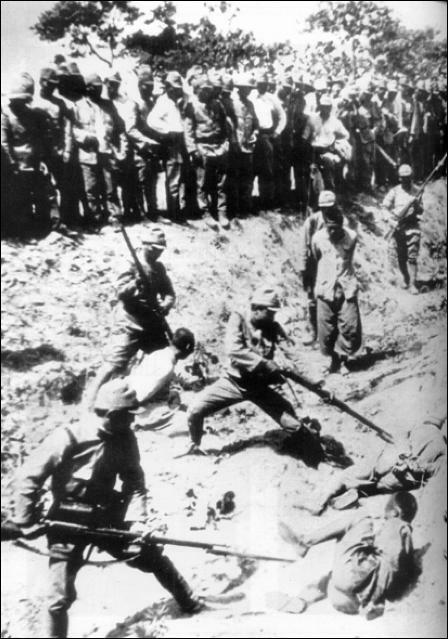 Masters of Death: The SS Einsatzgruppen and the Invention of the Holocaust. Westermann, Edward B. Hitler’s Police Battalions: Enforcing Racial War in the East.